What is MSISDN and the Serial Number? 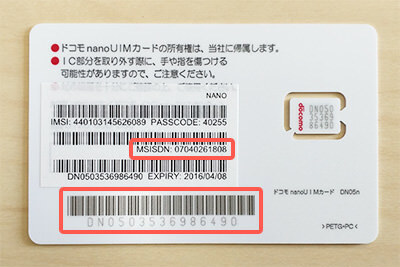 MSISDN and the Serial Number is found at the back of the SIM. The MSISDN is the one on top and the Serial Number is the one on the bottom with the red box marker. Please see the picture below. Make Top Ups, Easy APN Settings, and Much More! © 2019 eConnect Japan Inc.